We may also evaluate the product or quotient of two functions by another method. That is, we first evaluate each function, and then we multiply or divide. Given f(x) = x2 - 13 and g(x) = x + 9, find (f Â· g)(x) when x = -4. That is, find (f Â· g)(-4). Step 1 Use x = -4 to find f(-4) and g(-4). Substitute -4 for x in f(x). Substitute -4 for x in g(x). Step 2 Find f(-4) Â· g(-4). So, (f Â· g)(-4) = 15. Step 1 Use x = 6 to find f(6) and g(6). Substitute 6 for x in f(x). Substitute 6 for x in g(x). 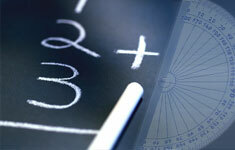 This method is preferred by many students for evaluating the sum, difference, product, or quotient of two functions. This is because numbers are substituted immediately and so the calculations are often easier.